Posted on July 30, 2013 at 2:02 pm. There are certain places that prove quite irresistible. We can find ourselves under a compulsion to know or inhabit or encircle a particular site. I am enlivened by one such place; I pass it daily and often feel its pull. It is an unlikely spot: the Istanbul kebab shop at 80 Portobello High Street. Some time ago this building was known by a different address, by a different appearance and for the renown of its celebrated occupant, whose name is no longer met with universal recognition. ‘Shrub Mount’, as Istanbul was then called, was the Portobello home of the eminent Victorian geologist, editor and writer Hugh Miller. It was to this building he escaped from the stresses of editing a national newspaper, The Witness – it then outsold The Scotsman – and where he retreated to study in the private museum he had built in the grounds of a once extensive garden. The bounds of this property are now unwittingly marked by the daily ebb of parents discharging their children at the adjacent Towerbank Primary School. These ordinary residential streets give little indication of the histories that precede them. 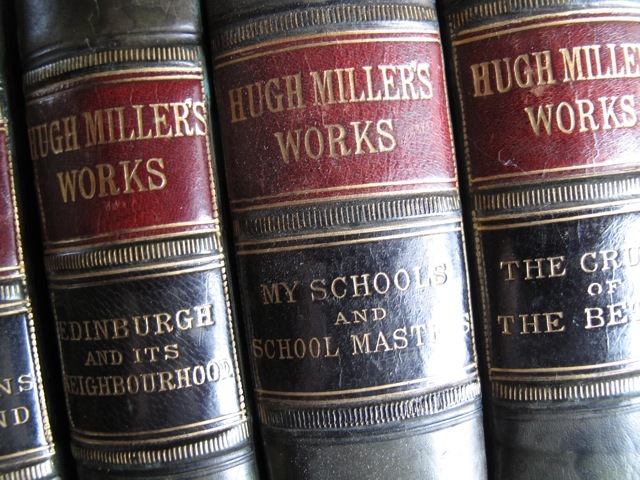 Hugh Miller was one of the most important figures in nineteenth century science. A correspondent of the preeminent scientific figures of his day, from Louis Agassiz to Charles Darwin, he was also a leading proponent of the ecclesiastical Disruption that saw the formation of the Free Church of Scotland in 1843. In his Edinburgh life, he was close to the other Disruption ‘worthies’ – Thomas Chalmers, William Cunningham and James Begg – at a time when the young Free Church was brimful of intellectuals. Miller, however, never quite fitted in with either his scientific or ecclesiastical contemporaries. He didn’t look like them, nor did he sound like them. 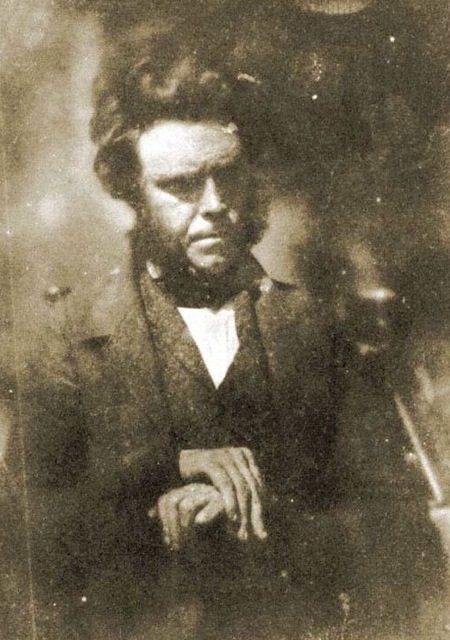 He eschewed urban fashions for the heavy woollen plaid, a knowing self-presentation as the outsider that was famously captured in the stills of David Octavius Hill. Steeped in the folklore and superstitions of his native Cromarty, Miller had left school at 14 to become an itinerant stonemason and had educated himself through reading, corresponding and by closely observing ‘the testimony of the rocks’. His rise from wayfaring workman to scientific luminary, brilliantly narrated in his bildungsroman memoir My Schools and Schoolmasters, is a canonical story of nineteenth century Scotland. Miller’s modest origins in combination with his forthright politics meant he was often rejected by the scientific establishment. The University of Edinburgh, for instance, turned him down for the Chair in Natural History – a position for which he was more than qualified. 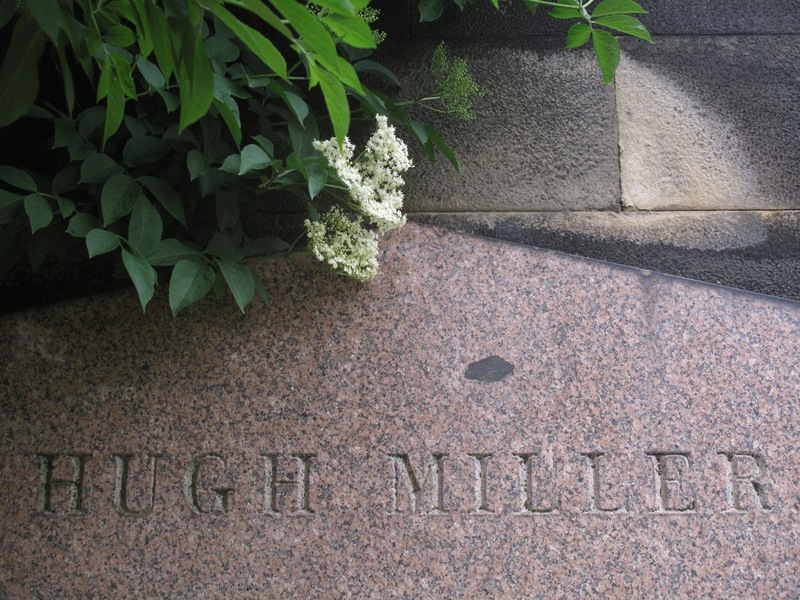 Hugh Miller was subject to depressive episodes and periodic ill health throughout his life. In the spring of 1839, his beloved daughter, Eliza, died aged two. For this firstborn child, he made his last work of masonry – a headstone for her grave in the kirk of St Regulus, Cromarty. There is a page about Eliza’s death in My Schools and Schoolmasters where Miller does not give her name but writes only of ‘a little girl’. Thereafter, she becomes ‘it’: ‘it had left us for ever, and its fair face and silken hair lay in darkness amid the clods of the churchyard’. In bereavement, even a pronoun can be too personal. Still reeling from this loss, the family relocated to Edinburgh. In time, the exchange of Marchmont and Jock’s Lodge for the seaside village of Portobello might have been something of a relief. In any case, Edinburgh’s east was already familiar to Miller from a spell of masonry work on Niddrie Marischal House twenty years earlier. 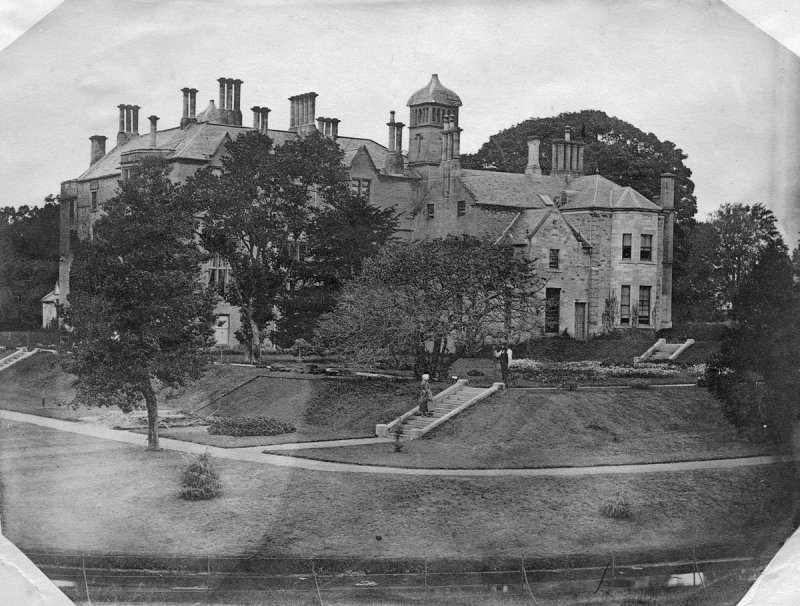 Demolished by the council in the 1930s to re-house families of slum clearance, Niddrie Marischal House was the seat of the Wauchope family. It is now one of the more deprived places in Scotland. Here the young Hugh Miller fashioned stone mullions for the windows of the big house. 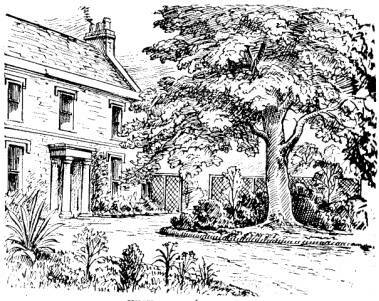 In the shadow of this same house he had also witnessed at first hand the widespread poverty of the Scottish colliers, some of whom, upon birth, had become the private property of the Wauchopes. At Niddrie Mill, he described a ‘wretched assemblage of dingy, low-roofed, tile-covered hovels’, the occupants of which were ‘a rude and ignorant race of men, that still bore about them the soil and stain of recent slavery’. This is classic Miller. Though he could recognise well enough the brutality of the system that produced such misery, it rarely softened his judgement of those thus emmiserated. When Hugh Miller returned to Edinburgh in 1840 as the archetypal self-made man he had no desire to proclaim his ascent into respectability. Shrub Mount was, to be sure, no Niddrie Marischal. He sought a quiet life, at a distance from his peers in science and religion. He worked. This meant writing, walking and reading the landscape. 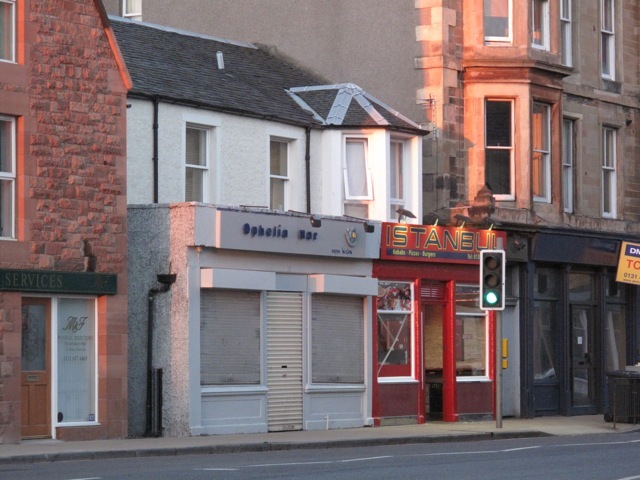 I imagine that being in Portobello would have been a welcome reminder of his beloved Cromarty, both being situated on the south side of grand eastern Firths. 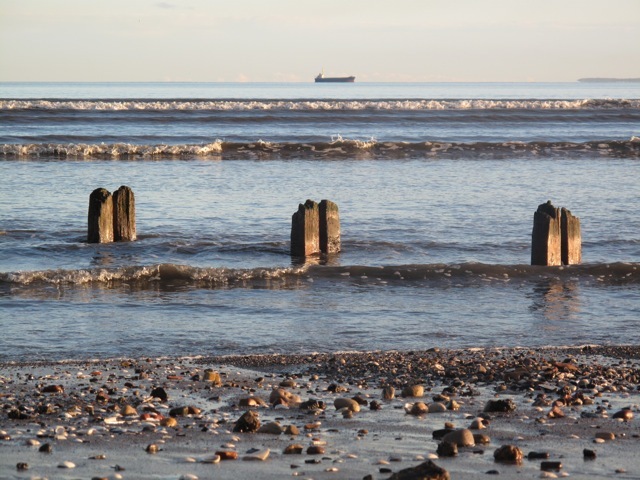 Miller could take his four children down to the beach; or fossil-hunting among the rocks at Joppa; or guddling for invertebrates in the Figgate burn. Guddling was always purposeful. 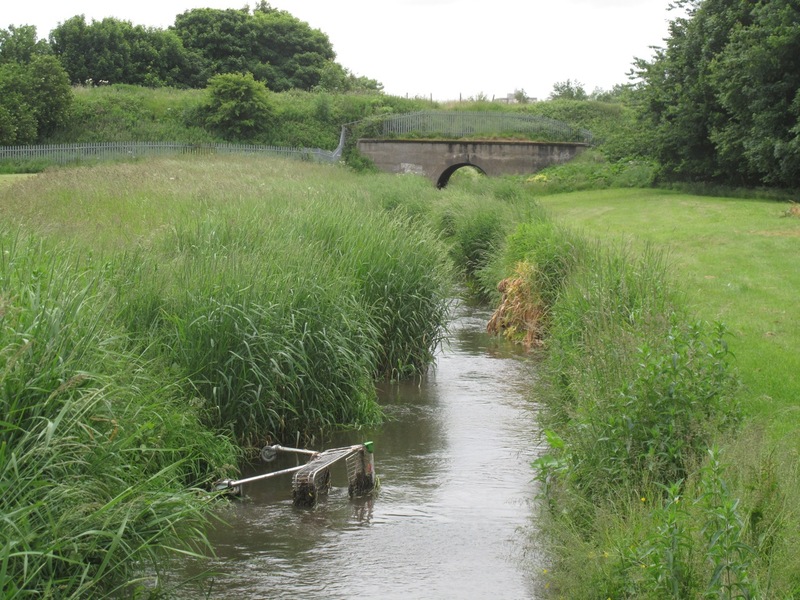 By such means, Miller worked out that the red clays of the Figgie burn – famed for the production of Portobello bricks – ‘must have been slowly deposited in comparatively tranquil waters’. At an exposure from a local brick works – a site near the old Roman road of the Fishwives’ Causeway – Miller found a bed of ancient shells. Though a long way inland, these were identified as Scrobicularia piperata, a distinctly intertidal species. We are first presented with a scene of islands – the hills which overlook the Scottish capital, or on which it is built – half sunk in a glacial sea. A powerful current from the west, occasionally charged with icebergs, sweeps past them … and in the sheltered tract of sea to the east of the islets, amid slowly revolving eddies, the sediment is cast slowly down, layer after layer, the brick clays are formed along the bottom. One can only suppose that an unveiling of this magnitude, one not always welcomed by his co-religionists, might have proved exhausting. Miller’s life and death have all too often been interpreted as a simple tension between a commitment to Biblical inerrantism on the one hand, and empirical science on the other – with the vexed question of evolution in the middle. This is why – so the popular version goes – that one Christmas Eve, in his upper room at Shrub Mount, Hugh Miller scribbled a note to wife, lifted his fisherman’s jersey and shot himself through the heart. Miller’s suicide cannot be so readily explained. A fuller account might point to his failing health, overwork or domestic unhappiness. It’s complicated; and ultimately unknowable. It is fair to say that at the end he was haunted by the apparent gap between the natural and the supernatural, between mystery and revelation. ‘Last night I felt as if I had been ridden by a witch for fifty miles’ he told his doctor, ‘and rose far more wearied in mind and body than when I lay down’. So convinced that he had been involuntarily abroad in the night, that he would check his clothing for signs of the journey. All of this was, for those left behind, a reassuring mark of insanity – such was needed to exonerate the sin of suicide. My brain burns. I must have walked; and a fearful dream rises upon me. I cannot bear the horrible thought. God and Father of the Lord Jesus Christ, have mercy upon me. Dearest Lydia, dear children, farewell. My brain burns as the recollection grows. My dear, dear wife, farewell. All of this happened in a room above Istanbul. And I feel the gravitational pull of this site, this centre of geo-logic calculation: a modest retreat for thinking, for reading and writing, for arranging the long history of the Earth, for life and love and family. It is his life, not his death, that moves me. Posted on July 11, 2013 at 1:56 am. 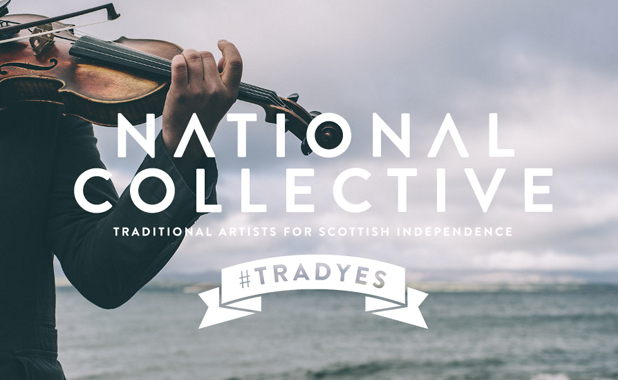 This isn’t much of a political blog but my curiousity has been piqued by a new post over at National Collective which has just launched their #TradYES campaign – a means by which traditional artists can explore the correspondence between their craft and support for a YES in the indyref. Anyone with a knowledge of Scotland’s oral traditions might expect this to be a vehicle for an all too familiar brand of cultural nationalism. The carrying stream of Scottish ‘folk’, epitomised by the School of Scottish Studies, has long had something of a nationalist undercurrent. Two of their most renowned collectors, Hamish Henderson and Calum Iain Maclean, were not shy about making their sympathies known. For Maclean, there were two approaches to the oral tradition: what he called ‘the scientific’ and ‘the nationalist’ (I’ll let you guess which one he thought more important). The whole task of collecting was of the utmost urgency as Maclean felt that the oral traditions, particularly in the Gaidhealtachd, were passing away before his eyes. 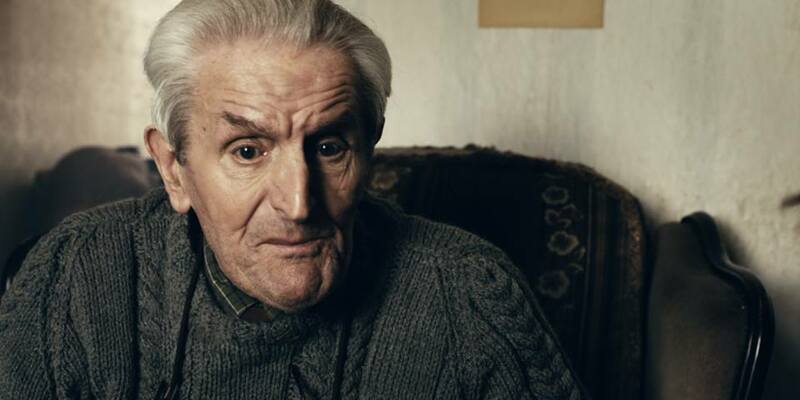 ‘I’m really afraid’ he wrote to Henderson in 1957, ‘that the old Highland spirit is as dead as could be’. To another audience he cautioned that ‘we may very soon learn to our cost that we cannot at the one and same time serve the God of Gaelic culture and the Mammon of English imperialism’. You get the picture. So I was interested to note that National Collective #TradYES campaign was launched by my Edinburgh University colleague Mairi McFadyen whose PhD is from the School of Scottish Studies. The stall she lays out, however, is significantly different from these earlier movements. For one thing, it sees aspects of Scottish tradition within a much wider cultural frame. It also displaces ‘the national’ for ‘the local’ – an interesting move. What strikes me as most important is that #TradYES is both generative and future-orientated. For all the ‘trad’ in ‘#TradYES’, National Collective’s campaign represents more a bringing-to-life than a saving-the-past. That distinction may prove significant. And the bid to foster an ‘evolving sense of self’ may resonate with a greater diversity of voices than could have been foreseen by Henderson and Maclean. Interestingly, #TradYES has articulated something from which their Unionist opponents have long shied away. For those in the No camp it may seem a peripheral problem that National Collective are stirring conversations and ideas about a cultural future. But it comes across as another instance where in saying nothing Better Together have nothing very much to say. Posted on July 1, 2013 at 12:28 pm. Any film which stars Margaret Bennett and Norman Maclean is, in my opinion, off to a great start. They are among Scotland’s most notable tradition-bearers and have spent their lives shuttling between Highland fireside and lowland media. Bennett appeared in Timothy Neat’s wonderful if eccentric Play Me Something (1989) about fog-bound travellers at Barra airport, also featuring John Berger, Hamish Henderson and Tilda Swinton. Maclean too was cast by Neat in Walk Me Home (1993), though not as The Guardian had it Play Me Something. It seems as if Tim Neat has bequeathed another cinematic legacy by introducing Norman Maclean to debut director Jamie Chambers, whose film Blackbird premiered last week at the Edinburgh International Film Festival. Chambers has given us a fine film, a worthy showcase for the manifold talents of Maclean, Bennett and as well as another superb traditional singer, Sheila Stewart. The film is focused on the character of Ruadhan, played by Andrew Rothney, a young man determined to save the songs of the village elders before they are lost amid economic change, signalled in this case by the decline of fishing and the arrival of the bistro. Blackbird is an accomplished film. Beyond the memorable performances and some skillful cinematography, Chambers has created a plausible town that is irreducibly Scottish but avoids being tethered to a specific place. This is essential if the film is to stand in for the oral tradition in the widest sense, from Gaels to Travellers. It is not a perfect film (perfect films don’t get made) but it is, I think, an important moment in Scottish cinema. I say this in part because its primary theme – the mechanics of cultural transmission – has to date received scant attention. The oral tradition has long provided a little background colour for filmmakers (think of the faux puirt a beul drinking song in Whisky Galore), but rarely does it constitute the action. Even in Play Me Something, one of my favourite films, the oral tradition played second fiddle to John Berger’s grand trans-cultural humanism. Blackbird is significant because the plot centres on the anxieties about who is culturally eligible to listen, learn and sing. The song is here portrayed as a gift of high value and, as with all gift economies, the burden placed on the recipient – in this case young Ruadhan – is sometimes more than he can bear, particularly if the gift is withheld. Ruadhan’s desire to save the songs is set against the wariness of the tradition bearers to pass them on to a generation whose way of life is so different from their own. There is a clever ambivalence in Blackbird about the premise that the oral tradition is dying and must be saved. It raises a welcome question about the familiar imperative of the ‘salvage paradigm’. The film is plainly informed by the work of twentieth century folklorists and ethnologists – epitomised by the School of Scottish Studies – who patiently recorded stories and songs. 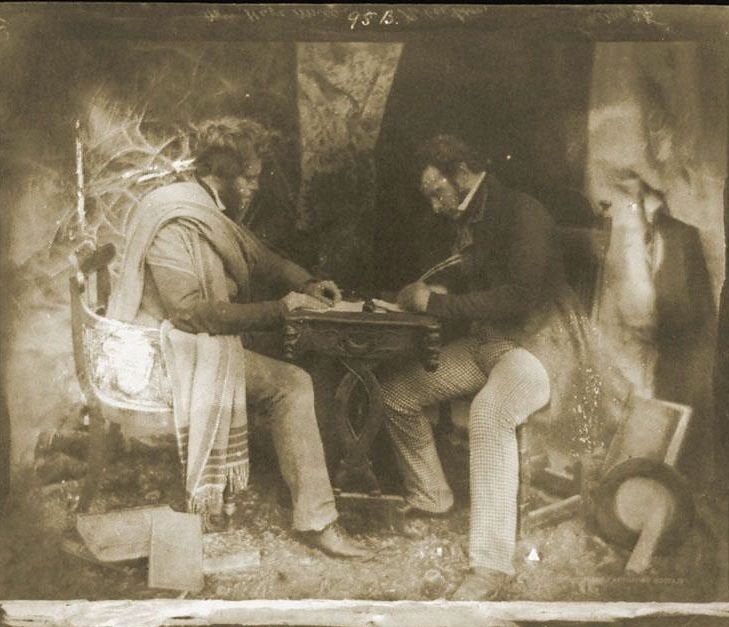 The paradox of this work, however, is that in wanting to preserve the oral tradition, ethnologists sometimes felt that wax cylinders and magnetic tape were more reliable repositories of culture than the people to whom it belonged. The collectors, believing that the mechanics of cultural transmission had broken down, came bearing the salvific recording machine – useful but not uncomplicated. In Blackbird, this tension is expressed in Amy’s iPod. But a culture that frames itself as perpetually on the edge of extinction may arguably be better equipped to survive. Stories and music which were once passed from one generation to another at the fank or in the berryfields, in the kitchen or around the fire, are now more often transmitted through different means. They are performed at school or the Mod or at fèisean and the like, events which in turn draw their funding from Bord na Gaidhlig, Creative Scotland, LEADER and The National Lottery. They have their own designated quasi-public spaces – community halls and heritage centres. (Blackbird’s bistro feels a bit 1990s – modernity’s current guise is more likely to come in the form of a third sector wifi-enabled community arts portal). It should not surprise us that oral life is allied to the world of work. 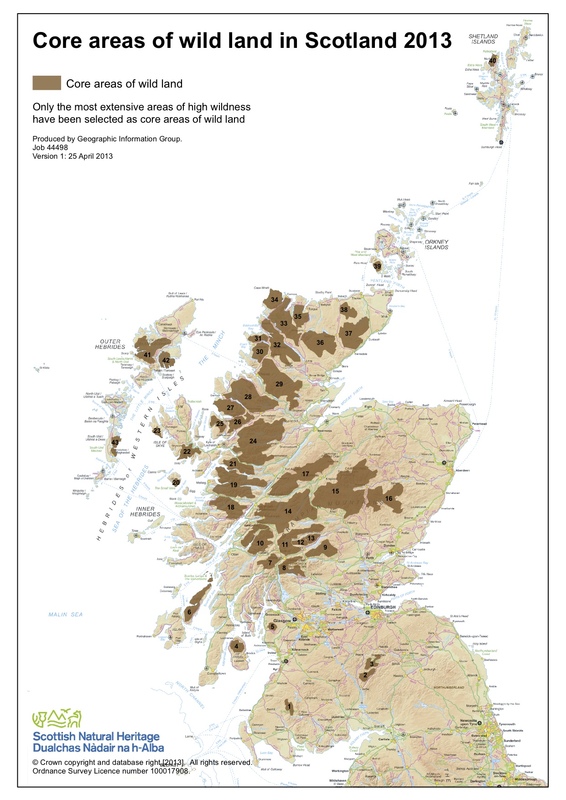 And that for young people, work in rural Scotland – if it exists at all – it is often as part of a service-orientated precariat in which cultural distinctiveness is pressed into the service of local development. This is not always comfortable and, by definition, change involves a loss of sorts. But perhaps Blackbird gives a glimpse into the disavowed truth about Scotland’s oral traditions: it is less that they are all dying than that some survive under cultural conditions that previous generations could scarcely have imagined. Posted on April 17, 2013 at 6:34 am. 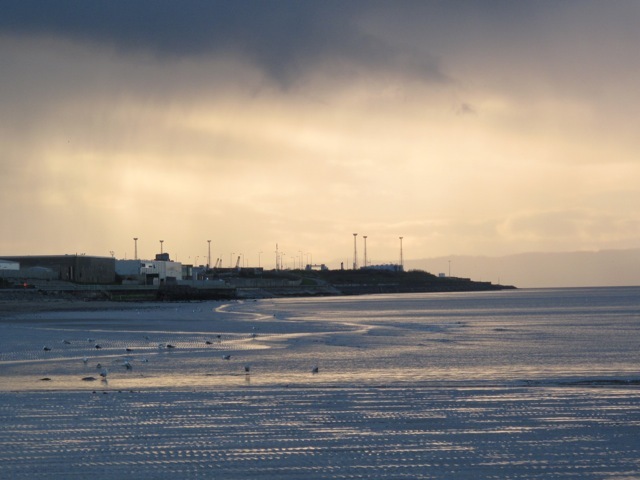 The full text of Will Self’s Wreford Watson lecture on the psychogeography of Scotland has now been published, appropriately enough, in Scottish Geographical Journal. Readers familiar with this doughty organ will recognise this publication as something of a first, not least for being the sweariest contribution in its 130 year history. Admittedly the bar is quite low. Or high, depending on your view. I will not need to convince you that the essay is a great read – you can see for yourself, thanks to SGJ and their publisher Taylor & Francis who have agreed to make it freely available. You can download the pdf here. Alternatively, if you want to watch the lecture for yourself you can do so below – courtesy of the School of GeoSciences YouTube account.